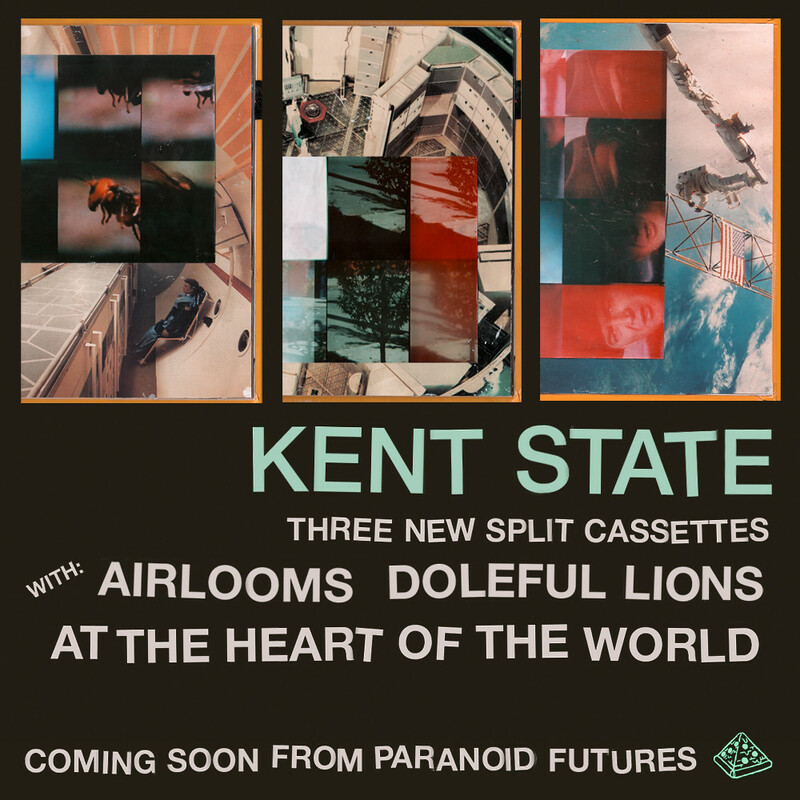 Kent State splits with Airlooms, Doleful Lions, and At The Heart Of The World up now to order/ download! I did the artwork, sang some things, and played some things, but Nick did most of the work. 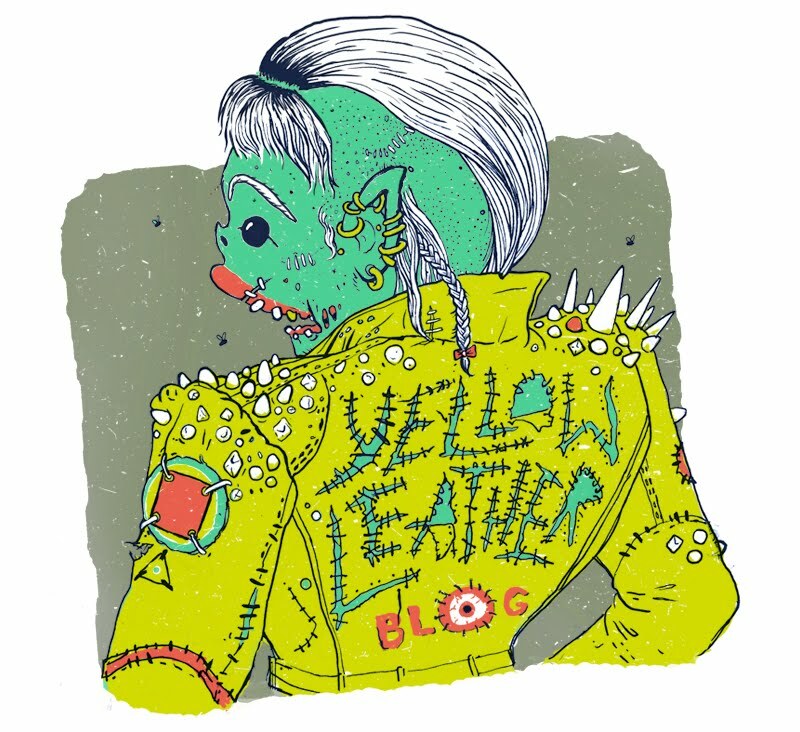 For fans of Guided by Voices, serial killers, pizza, and psychedelic death-pop. Lately I've been putting together the artwork and layouts for the next three Kent State releases. Can't wait to see them all pressed and put together! So this week on Ten Paces and Draw, the topic was heavy metal. So glad that guest curator Niv Bavarsky gave me a rad sketch by Nick Iluzada to work from! 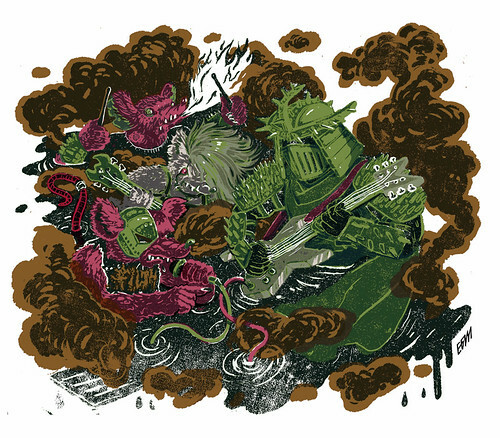 It's of Shredder from the Teenage Mutant Ninja Turtles playing in a metal band with some rat mutants. Check out the post on the blog here. Please click to look at it larger, it gets proportionately cooler. Also, look at what Julianna Brion did to my sketch! She took it to another level. I love her as always.